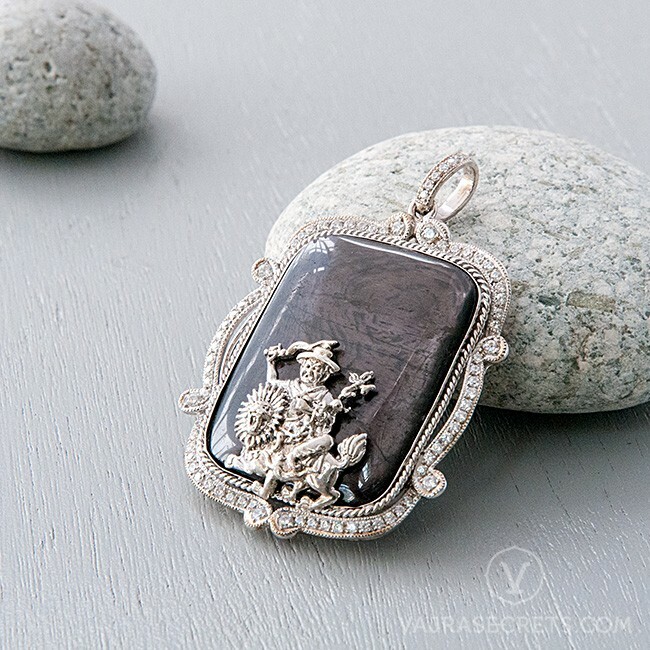 A vintage-style, limited edition white gold-plated Dorje Shugden pendant mounted on polished dark grey agate and ornately framed with cubic zirconia. Wear him close to your heart and be assured of his blessings of wisdom, healing, clarity and abundance. 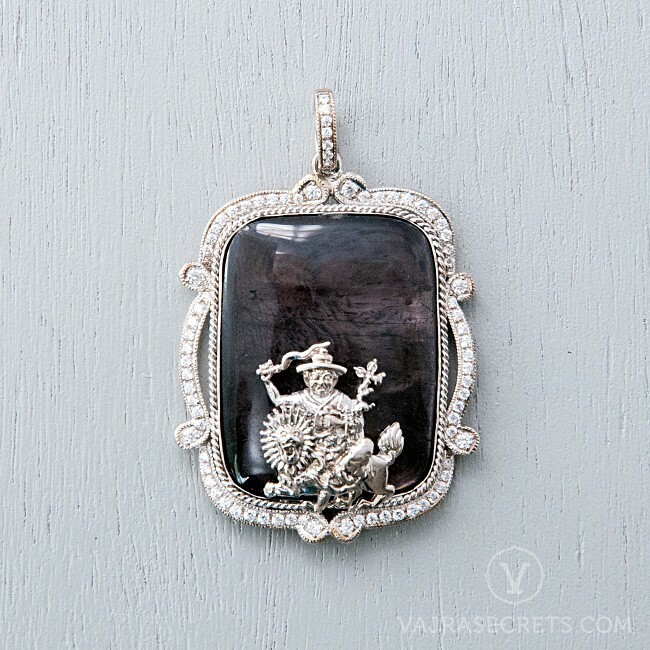 Bring Dorje Shugden’s blessings everywhere you go with this one-of-a-kind vintage-inspired white gold-plated Dorje Shugden pendant mounted on polished dark grey agate and ornately framed with cubic zirconia.